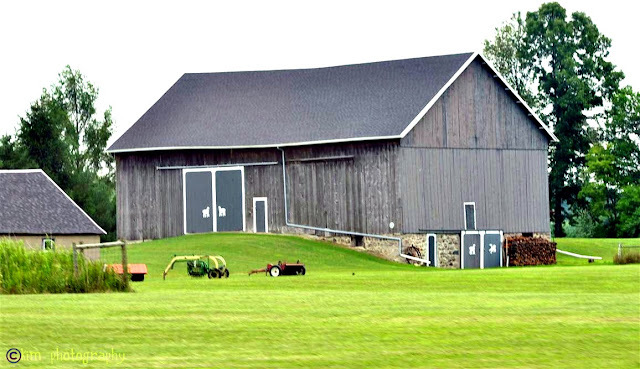 The barn shape (any style of roof), is always classic. We think of red as being the true color of the barn - but the gray one you show us is equally beautiful. In front of the gray building is a tiny bit or red - the tractor. So each view is thus perfect for RT - a lot or a little red! Nice! I love that bottom one with stone foundation. 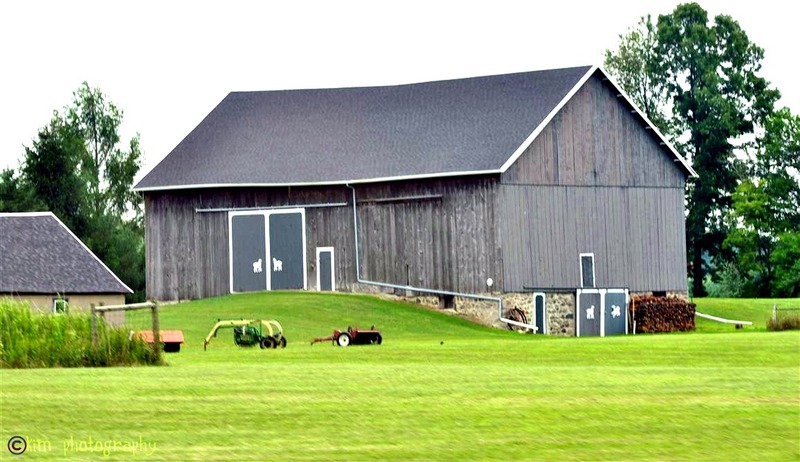 Nice barns! I love the second one with the stone foundation! Wow I love that last one! i love both but my favorite is the second! Great finds & I love that stone foundation on the gray barn... very nicely taken care of, too! They both are nice, but I too love the second one with it's stone foundation. oh wow, may barn ka pala manang kim and lots of equipments. very nice pictures. I do like both barns! They are both beautiful! I love the first composition Kim and the stone foundation of the second one. The blue paint on the second barn is quite a deviation from the usual red! Nice to be in such rustic landscape. Yes, you are right. Both are charming. Great photos! 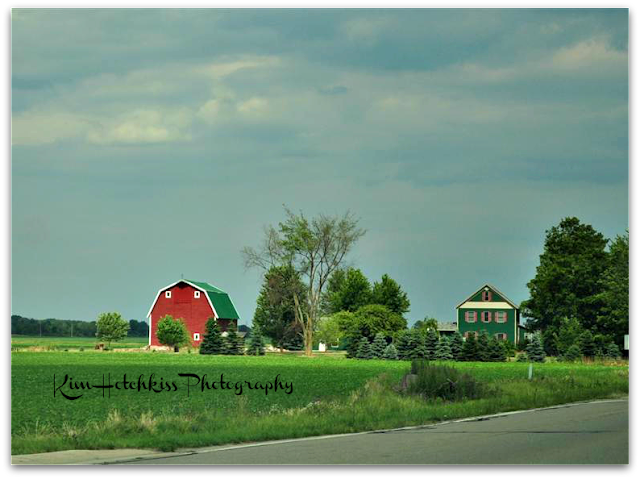 I love barns and farm photos so much. Thanks so much for the visit and the comment. I've enjoyed viewing your entry this morning. Blessings! Yes, they are both charming. Is that second one just a bit bowed, or is it just the perspective? Great building! Both are great building that i have ever seen. I can't find it in Indonesia.